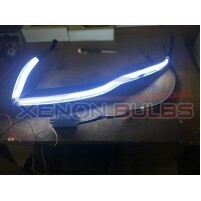 5 LED Daytime Running White 19CM universal high power DRL..
A Daytime running lamp (DRL) is a road safety lighting device installed on the front of a vehicle an..
6 HIGH POWER LED DRL Ignition Start WHITE DAYTIME RUNNING LIGHT..
6 LED DRL UNITS A Daytime running lamp (DRL) is a road safety lighting device installed o..
85cm Light Bar Strips White DRL Amber Indicator Flexible Strong Cuttab.. 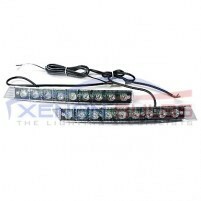 Flexible Daytime Light Bar LATESTE PRODUCT FOR 2015, EXTREMELY BRIGHT AND CAN BE MOULDED INTO ANY..
9 LED Daytime Running Lights DRL 6000k white unit grill..
9 LED DRL UNITS A Daytime running lamp (DRL) is a road safety lighting device installed o..
High Power 9 LED Daytime Running Lights DRL 6000k white..
Universal LED Daytime Running Lights - 5 LED 22.5cm.. 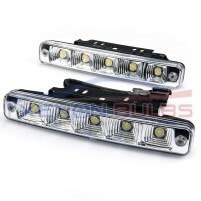 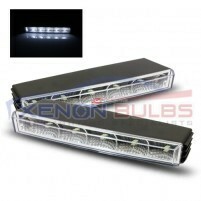 This is a pair of LED daytime running lights universal fit all cars. 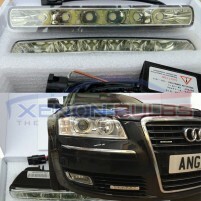 These daytime running lights ar..